This topic differs from my regular ones, but I am the kind of girl who not only tries every means to beautify my body, but who also pays attention to anything that can embellish my life. I love to collect both interesting and classic movie DVDs. In old days, whenever I want to watch them, I either looked for them and it was like looking for a needle in the ocean for the exact DVD, or I would pay twice as much in the Apple store in order to watch the same movies on my iPad and iPod touch. 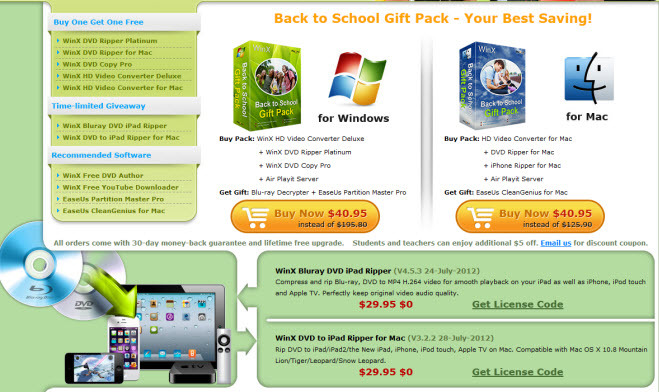 A few days ago I received a free copy of WinX DVD Ripper Platinum from Digiarty Software Inc,. I learned how to make things easier and save money. Actually, WinX DVD Ripper Platinum is noted DVD backup software. It is an ideal solution for me to reduce the chance of scratches and other physical damage due to repeated playing on the original DVDs. 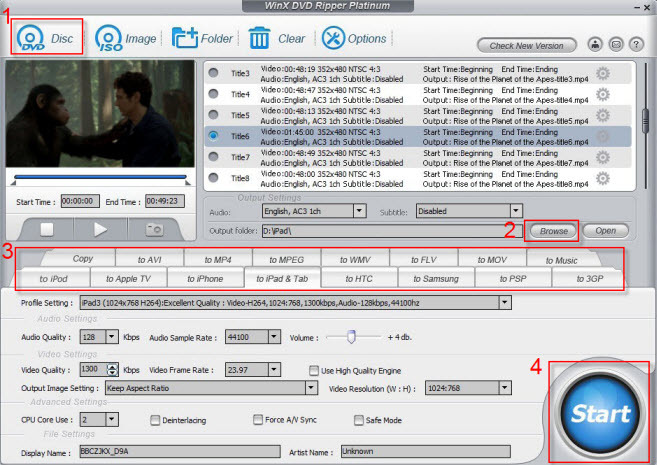 It also relieves the worries that the DVDs are missing or hard to find, and facilitates watching HD DVD videos in mobile way, etc. 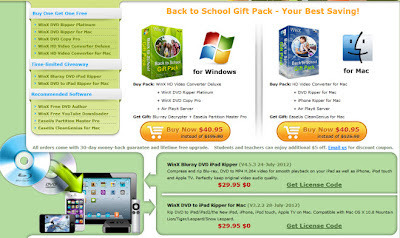 Every reader at thriftyandfrugalliving.com can be a thrifty and frugal gal or guy, because everyone can get DVD to iPad ripper (either for PC or Mac) for free at Digiarty’s Back to School Giveaway page before the end of August. 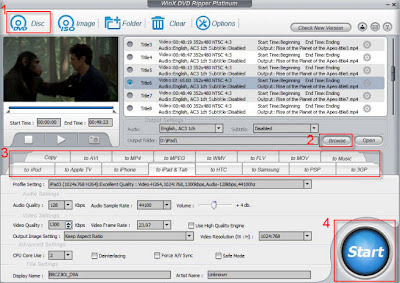 Therefore, we do not have to pay for but can own one DVD iPad ripping software, helping us backup homemade DVDs, commercial DVDs or any kinds of DVDs on our computer, share DVD videos with others, and easily enjoy DVD videos on iPad/iPad2/iPad3 or hopefully iPad mini coming soon! If you are a student or a teacher, you are even luckier, because you can get extra $5 from any of software deal on the giveaway page. The back to school freebie will not be available after August 31. Looks like a great program & free is always good! Thanks! Good good I needed a DVD Ripping program. I'm too weary to download a random one from my search engine without knowing enough about it. Thanks for the posting!